Great value, 4 sensor ports, easy to set up, economical monitoring solution with Power over Ethernet (PoE) support. 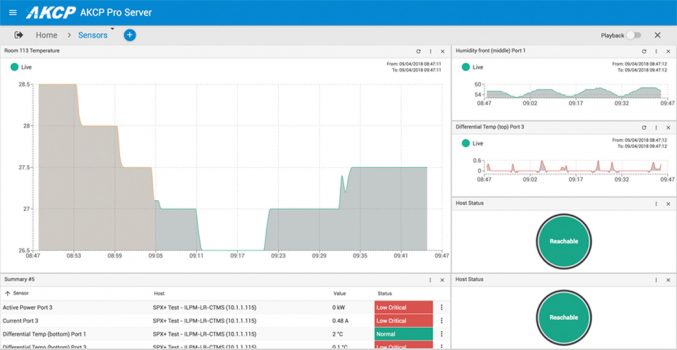 An intelligent mid-size solution for monitoring, with built in web-server, full email and SNMP functionality. A solution that is ready right out of the box, simply assign an IP address and connect to the embedded web server. sensorProbe4 records all events in its database with a time stamp of when the sensor alarm was raised and the action taken place. A standalone product with no external software dependencies SensorProbe4 gives you the very best for your monitoring needs. 4 auto-sense intelligent sensor ports work with a wide range of intelligent sensors. Uses any combination of sensors to monitor temperature, humidity, water leakage, airflow, security and even control relays. 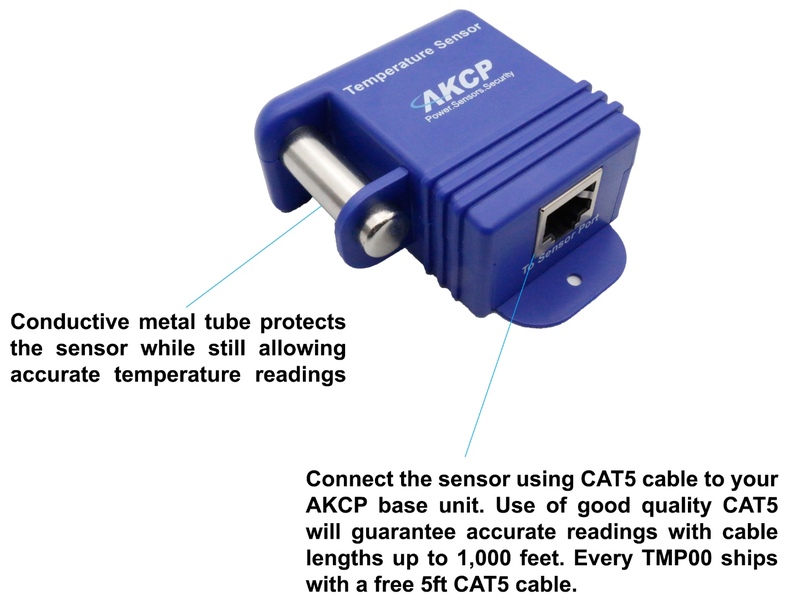 The AKCP sensorProbe4 is the monitoring base unit, it does not have any built-in sensors. In order to measure anything you need to attach one or more sensors to the base unit. Components: Manufactured using highly integrated, low power surface mount technology to ensure long term reliability. Installations with more than one sensorProbe4 or other AKCP monitoring units greatly benefit from using AKCess Pro Server software. AKCess Pro Server is a free software application created by AKCP. 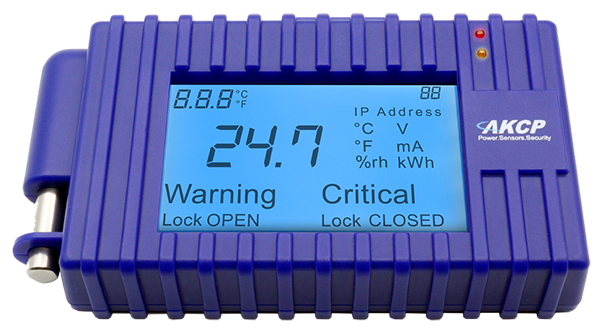 The application enables you to group your entire estate of AKCP monitors into a single screen, giving you centralised data logging and alert configuration. New sensorProbe 4 / 8 Now with PoE Power over Ethernet (PoE) is an elegant solution that allows you to dispense with an external power adapter. Now available are two new PoE enabled versions of the SensorProbe 8 and SensorProbe 4.